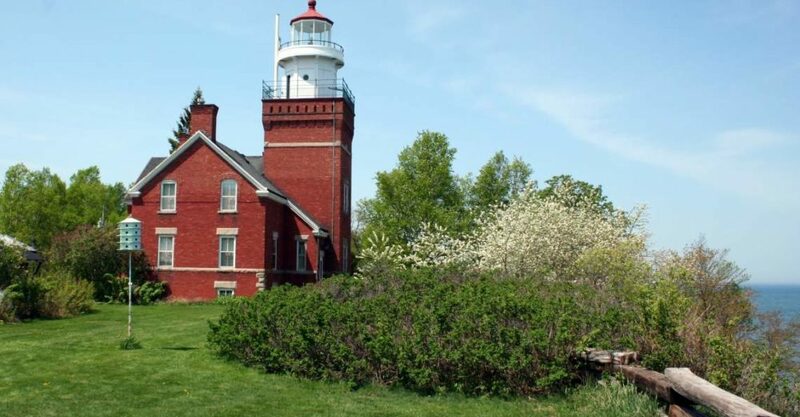 Setting: High on a cliff jutting into the clear waters of Lake Superior, the Big Bay Point Lighthouse beckons to adults in search of a secluded retreat. Amenities: Fireplaces, whirlpool, sauna, gardens, and awesome views from the working lighthouse tower. Friendly, relaxed, casual atmosphere. Relax your body and renew your spirit in our Massage Hut in the summer and in the lighthouse in the winter. Remarkable spa services in an unsurpassed setting. Meals: A full lighthouse keeper’s breakfast served in the dining room each morning.